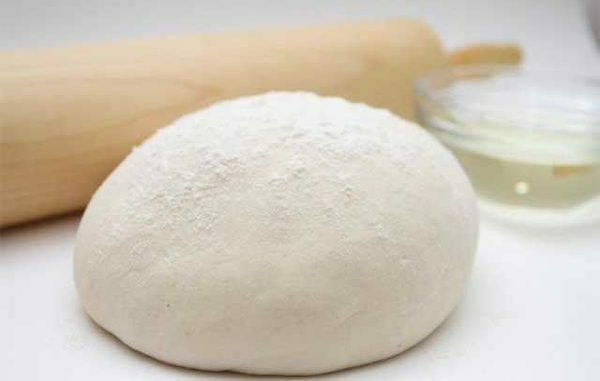 Cakes, pizzas and pastries can be made with the same, long lasting dough – versatile in application and easy to prepare. The dish is dissolved in sugar in 200 ml of chilled milk and allowed to warm up to activate. Put the flour in a large bowl and add a baking powder and salt. Place the yeast in the middle, put pre-crushed eggs with yogurt. Lubricate the bowl with a little oil and then put the ball of the dough, place a transparent foil and cloth and let the dough double in volume. The dough is ready to make whatever it takes. Bake 200 degrees as needed in a recipe. Note: If you make sweet cakes, add two tablespoons of ingredients to the universal dough. Sugar, and if you are preparing saltily or meat dishes – another spoon of salt.